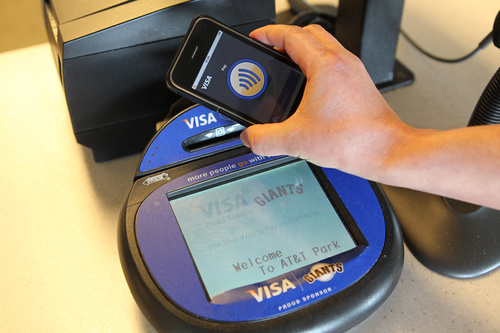 Using your iPhone as a membership card or even a plane ticket is nothing new, but soon you will be able to use it as a Visa card too. DeviceFidelity’s In2Pay iPhone accessory, announced yesterday, is basically a paired case and app that allows you to simply whip out your iPhone and swipe it over Visa’s PayWave consoles. PayWave is fairly common already–many grocery and retail stores use it, and I’ve played with it in my hometown at the Wawa deli chain (I mention Wawa because my barometer of how useful a new payment system is is heavily based on its ability to buy a hoagie). Visa says it’s expanding PayWave nationwide, to include previously underserved regions, and DeviceFidelity insists they’re working hard on security–according to Gizmodo, they’ll be generating a unique ID number for every single transaction, which should put minds at ease. No word on exact release date or price yet.